Oak Ridge National Laboratory’s hydropower research team creates and maintains the National Hydropower Map that illustrates the importance of hydropower to the nation’s energy system. 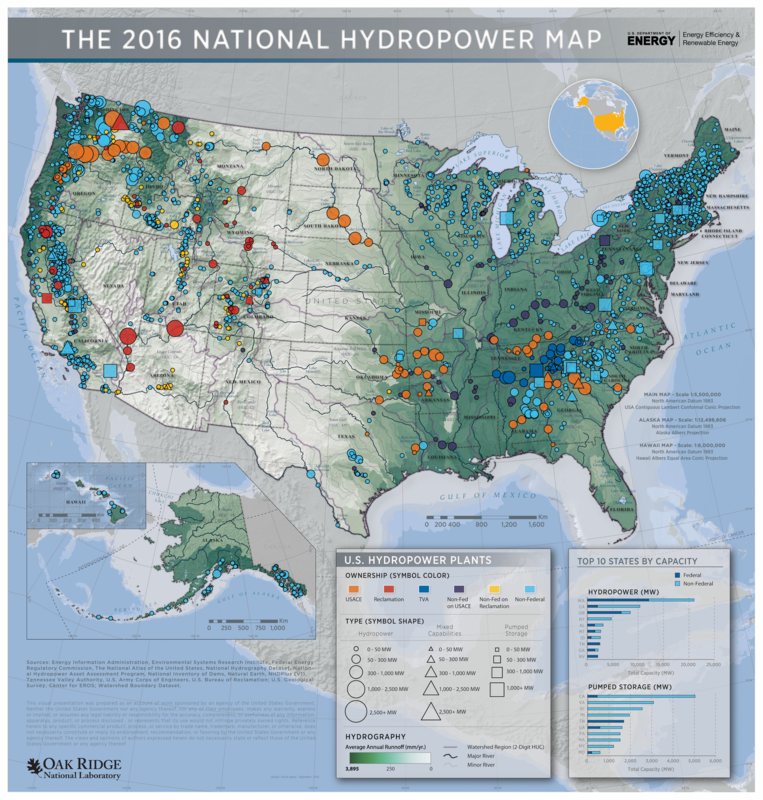 October 3, 2016 – Oak Ridge National Laboratory researchers have produced the next generation of the National Hydropower Map – a visualization tool that provides updated statistics on overall capacity and performance on the nation’s hydropower fleet. The map is part of the lab’s National Hydropower Asset Assessment Program, which synthesizes and extends vast national datasets used to evaluate existing and potential hydropower resources in the United States. The ORNL-led program advances integrated energy, water and ecosystem research that informs efforts to boost U.S. hydropower strategic initiatives. In 2015, the Department of Energy reported that hydropower accounted for 6.2 percent of net electricity generation, 48 percent of all renewable power generation and 97 percent of electricity storage in the United States. The newly updated map is available on the NHAAP website.